Just a few days ago, Xiaomi launched Mi4i in India and also, we are getting the next flash sale of Mi Band on May 5th. 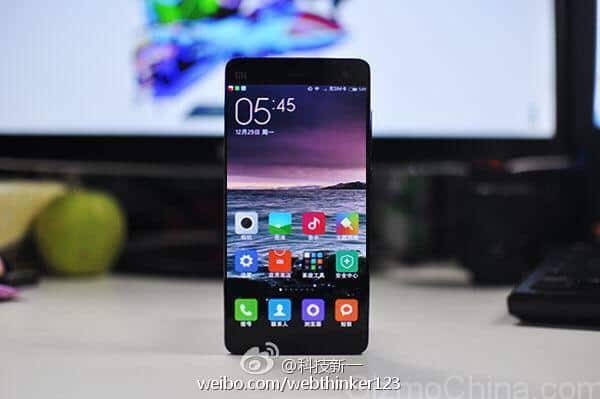 But, already rumors have started spreading over the world wide web about Xiaomi’s next flagship device Mi5, as Mi5 specs leak and the leak suggest a lot about the phone, including the size of the display and display type, SoC and some other key points. The Mi5 specs leak suggest that Mi5 will have a QHD display measuring 5.2 inches having a resolution of 1440×2560 pixels. The Mi5 specs leak also suggests that the handset will be powered by Qualcomm Snapdragon 810 processor which is a widely used one, in many high end devices. Mi 5 will house a 3000mAh battery and will sport a 16-megapixel OIS rear camera, along with 4GB of RAM, which has already been on the Zenfone 2 which was recently launched in India. The Mi5 specs leak was made by a Chinese Blogger on Weibo and later surfaced on MyDrivers.com. The blogger also claimed that the Xiaomi Mi 5 will sport fingerprint scanner, and that should be true as recently, a Xiaomi patent detailing fingerprint recognition method via the handset’s buttons were spotted at China’s State Intellectual Property Office. If that QHD display is available on Mi5, it will be Xiaomi’s first device to sport such a high resolution. However, some other MIUI threads have claimed that Mi5 will come in 16GB/64GB built-in storage variants and will sport an 8-megapixel front snapper. So, we can expect a really high end device from Xiaomi soon, but for now we can’t completely believe in either of the leaks as the camera specs differe a lot. However, the first detailed Mi5 specs leak looks to be more authentic. We will keep updating about the latest news on Mi5 and all the other phones and also, some hot news is on its way to blow your mind if you are an OnePlus One user.